The Great Saiyaman's TMNT fan art thread. Well since that people have asked me to do a thread on all of my fan art rather than separate threads I'll gladly comply. So here's what I have so far and I'll start with a brand new one, just finished it today. 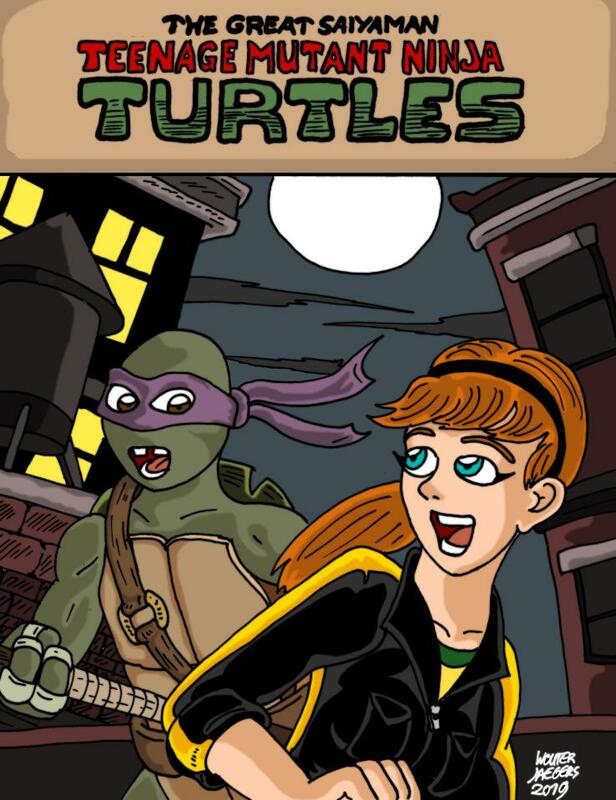 April and Donnie patrolling the city. 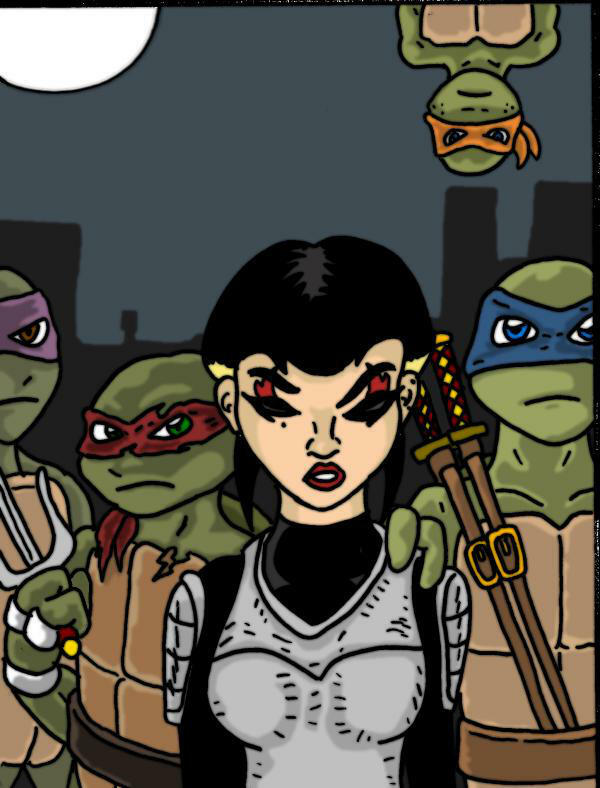 From my comic "Karai versus Karai"
Leonardo thinking of Karai who perished during the mutagen attack. A scene from my "Bat versus bat" story, where Casey Jones and Shinigami come to the mutual understanding that they're the only ones from the series without a love interest and decide that it wouldn't be such a bad idea to actually look for it within each other. This is actually my salute to a really well known scene from the IDW TMNT comics where Alopex and Raphael, had a little flirt-fight and ended up in the same position. For the last five years I have been very busy working on a mammoth Dragon Ball Z fan comic called "Legend of Mr. Satan" in which we find ourselves in an alternate reality in which a young Mark sees Goku fighting at the Tenkaichi Budokai and inspired by his display of power decides to talk to him. Goku then introduces him to Muten Roshi and Mr. Satan becomes a Z-fighter. I hope you guys dig it. Wouldn't Karai Forever or maybe Transdimenional Karai be a better name for a Karai crossover comic? For almost five years I have been drawing a Dragon ball z fan comic called "Legend of Mr. Satan"
Seen here is a reject drawing from that comic which depicts Karai making a cameo. So why did I chose to reject this? - And there are more little mistakes which ruin this one for me. The only thing good about this one is the dynamic pose she strikes, which is why I chose to share it with you all.